AntBanter: What makes a great sprinter? A number of riders are hanging up their helmets and we’re going to be paying homage to some of them during the off-season. First up, Oscar Freire, a diminutive rider with a massive palmares – wins in every season as a professional – which might have been even longer and more illustrious were it not for his even longer list of medical complaints. Oscar’s been threatening to retire for a number of seasons but 2012 really was his last, not even a role as a rider/trainer at Euskaltel-Euskadi could tempt him to remain in the peloton for a moment longer. So let’s have a fond look back at his prolific career which included three World Championships – equalling the records of Alfredo Binda, Rik Van Steenbergen and the legendary Eddy Merckx – and three Milan-San Remo victories, among many others. The Cantabrian’s career got off to a promising start with 41 victories and three local titles as a junior with SC Besaya (1992-94). Next he rode for Joxean Fernandez (who went on to manage Saunier Duval and Geox), notching up a further 17 wins, the most important of which was Memorial Valenciaga in 1997, where he beat a number of future professionals including Carlos Sastre. He finished the year as runner-up to Norwegian Kurt Asle Arvesen in the under-23 World Championship road race in San Sebastian. Oscar turned professional in 1998 with Spanish squad Vitalicio Seguros – the only time he rode for a domestic squad – winning a stage of the Vuelta a Castilla y Leon. In 1999, he surprised everyone by winning the world championship in Verona when he was frankly making up the numbers. He spent his prize on an elevator for his grandmother’s apartment rather than replace his modest Opel Corsa. The following year Oscar joined what was recognised as the best team, Mapei-Quick Step, and won 11 races including two stages in the Vuelta a Espana. He also came third in the world championship. In 2001 he won two races and took the points competition in the Vuelta a Burgos, before becoming world champion for a second time in Lisbon. In 2002 he won his maiden stage in the Tour de France. In 2003 Freire moved to Rabobank where he was to remain until the end of 2011. In his first season he won six races but it was in 2004 that he was to enjoy some of his greatest triumphs: Milan-San Remo, Trofeo Luis Puig, a stage and runner-up at Tirreno–Adriatico, another stage in the Vuelta a Espana, and his third – and final – World Championship, again in Verona. He started 2005 in fine fettle winning three stages, the points classification and the yellow jersey at Tirreno-Adriatico, as well as the Brabantse Pijl, Trofeo Alcudia and Trofeo Mallorca, all before the end of March. His season was then cut short by a saddle sore, a recurring problem throughout his long career. 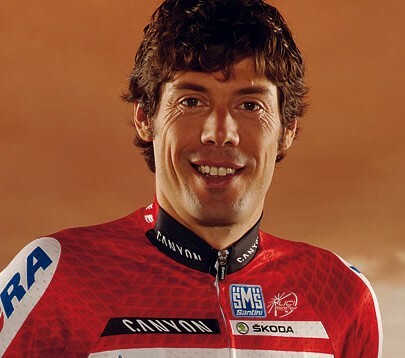 In 2006, Freire won his second consecutive Brabantse Pijl, another stage at Tirreno–Adriatico, a stage at the Tour de Suisse and two stages in the Tour de France before retiring due to illness. He bounced back by winning the Vattenfall Cyclassics before his season was cut short by neck and spinal injuries, forcing him to miss the Vuelta a Espana and World Championships. In 2007, he won a second Milan-San Remo title and three further stages in the Vuelta and in 2008, he won a stage and the green points jersey in the Tour. In the 2009 Tour he was shot in the thigh by an air-rifle on stage 13, in a year where he’d already broken his collarbone and was still plagued with injuries to his back. In March 2010, he recorded my favourite of his wins in Milan-San Remo where he snuck out of the peloton just before the line to deny Tom Boonen victory. Later that year, Oscar became the first Spaniard to win Paris-Tours becoming the new holder of the ruban jaune for setting the fastest average speed in a Classic, he covered the 233km at an average of 47.7km/h. In 2011, after racking up stage wins in Ruta del Sol and Tirreno-Adriatico, sinus problems forced him to miss the Tour and abandon the Vuelta. He said that if he didn’t win the World Championships in Copenhagen, he would retire. He didn’t win, but neither did he retire. Rabobank, having taken his statement at face value didn’t offer to renew his contract in a timely fashion and he moved to join the Spanish Armada at Katusha. Oscar had a promising start with a stage win in the Tour Down Under followed by anotherat Ruta del Sol and top ten placings in a number of the Spring Classics and semi-Classics. Having crashed out at the Tour, as the year wound down he again said that he would prolong his career if he won the rainbow jersey in Valkenburg. It’s nice to finish racing here in Valkenburg, where it all started and in a country, Holland, where I’ve spent most of my career [with Rabobank]. It’s a coincidence that I’m here, but there couldn’t be a better way of finishing. The Spanish team threw their support behind Oscar, who you might remember finished fourth in Amstel Gold, but either his poisson pilote had other ideas or the lack of team radios meant that Oscar was isolated on the final ascent of the Cauberg and teammate Alejandro Valverde finished third in Valkenburg. After a bit of post-race handbags, the two have since kissed and made up. Paris–Tours was first run for amateurs in 1896, making it one of the oldest cycling races in the world. It was organised by the magazine Paris-Vélo, which described that edition as “a crazy, unheard of, unhoped for success”. It was five years before the race was run again and a further five before it became an annual event for professionals which is now run under the auspices of Tour de France organiser Amaury Sport Organisation. Paris–Tours starts south-west of Paris and runs south-west towards Tours, crossing the Loire at Amboise, then heads over several small climbs before the finish. It’s a single-day classic on a fairly flat parcours through the Chevreuse and Loire valleys. Consequently, it is known as the Sprinters’ Classic because it often ends in a bunch sprint on the broad, long Avenue de Grammont. Last year’s race was unusually won from a breakaway. Greg Van Avermaet (BMC) recorded the most prestigious victory of his career when he took off with 14 others with around 60km to go and subsequently beat Marco Marcato (Vacansoleil-DCM) in the sprint for the line. An initial break, which formed almost from the start, built a lead of over ten minutes before the Rabobank team of defending champion Oscar Freire and newly crowned world champion Mark Cavendish‘s HTC-Highroad combined to close down the gap. The boys from BMC also lent a helping hand but the increased pace merely forced the pack to splinter leaving all the favourites in the front chasing bunch. By the time it was gruppo compatto with the chasing groups, the gap to the leaders was down to a handful of minutes. Some 6km later 15 riders – including Van Avermaet, Arnaud Gerard and Mickael Delage (both FDJ), friend of VeloVoices Geoffroy Lequatre (RadioShack) and Leonardo Duque (Cofidis) – counter-attacked and soon caught the race leaders. The large front group soon settled down and worked to maintain its advantage of just over a minute. The pact was broken when young Gerard went for broke with around 20km to go. He was pursued by Van Avermaet and Marcato, who caught and dropped him just before the Cote de Beau Soleil. It was only then that Sylvain Chavanel (Quick Step) and Philippe Gilbert (Omega Pharma-Lotto) tried their luck , but it was too little, too late. The chickens had flown the coop. It was to be a two rooster shoot-out between Van Avermaet and Marcato, who had a sufficiently large enough lead going under the red kite. Van Avermaet – by far the better sprinter of the two – attacked with 300m to go and sailed over the line ahead of Marcato. Kasper Klostergaard (Saxo Bank-Sungard) rounded out the podium. Paris–Tours has had many route changes although the distance has remained around 250 km. The start was moved out of Paris in the early days, first to Versailles then to St Arnold-en-Yvelines and now to Chateuaneuf-en-Thymerais. Over the years, the organisers have sought to make it more ‘interesting’ with route changes and the addition of various small ascents – such as the three cotes near the finish – but it’s made little difference to the race’s outcome. The course was reversed and the route constantly changed between 1974 and 1987 and it was sometimes called the Grand Prix d’Automne and finally, in 1988, it reverted to its original route. The biggest obstacle is often the wind. In 1988, the winner averaged just 34kph, while when Oscar Freire won in 2010 he recorded a tail-wind assisted 47.7kph for which he received the Yellow Riband for the fastest speed recorded in a Classic. All eyes will be on the sprinters come Sunday, although results from the past 20 or so years suggest that the winner is just as likely to come from a breakaway or a strong rider taking a flyer, like last year. BMC’s Greg Van Avermaet will be back to defend his title and might have to be even more audacious if he’s to avoid contesting a bunch sprint with the likes of Vuelta multi-stage winner John Degenkolb (Argos-Shimano) and Rabobank’s Lars Boom hoping it all comes back together. Paris-Tours takes place on Sunday 7th October. Live coverage and highlights will be shown by Eurosport in the UK. For other live coverage check cyclingfans.com.